This very Christmassy steam oven salad recipe has been on high rotation at our place through December. 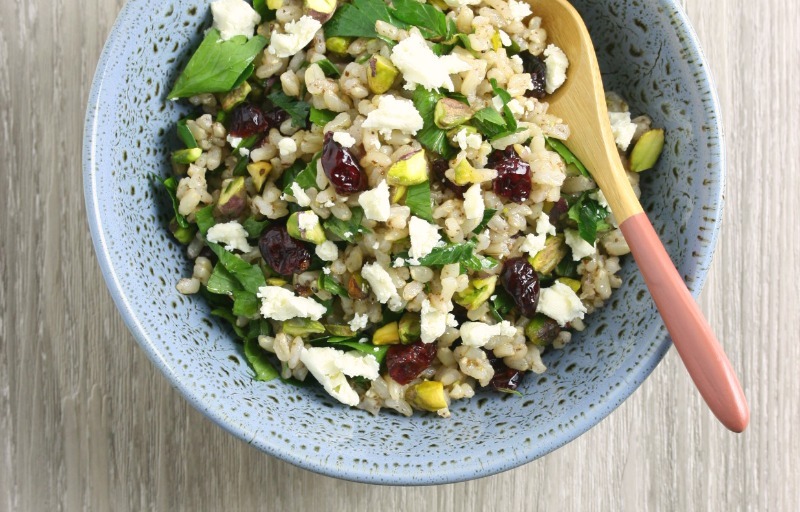 Made with steamed brown rice and studded with pistachios, cranberries, herbs and feta cheese, it’s equally at home as a side dish to barbecued meats as it is a stand-alone lunch. If you haven't yet mastered the art of perfect fluffy rice in your steam oven, this is for you - a back-to-basics steam oven rice cooking guide. A sort-of steam oven recipe resulting in fried rice for all, which is never a bad thing! Especially when there's not a canned shrimp or overcooked pea in sight. Veg packed, creamy risotto done in the steam oven - no stirring, no fuss.